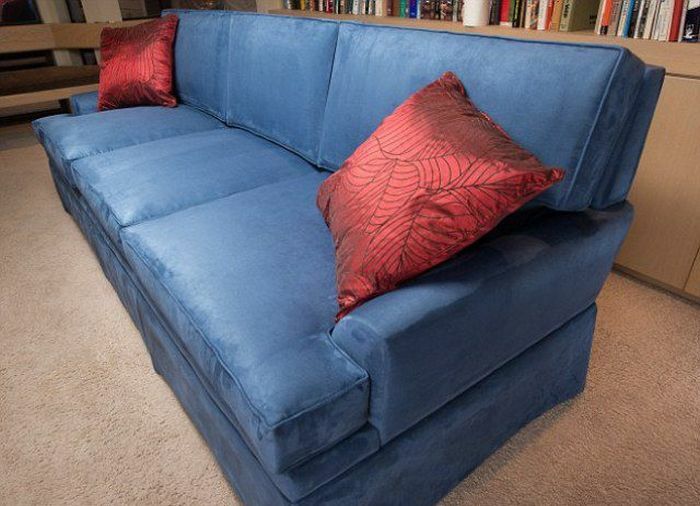 No, it's not an ordinary couch. Just see the rest of the photos. 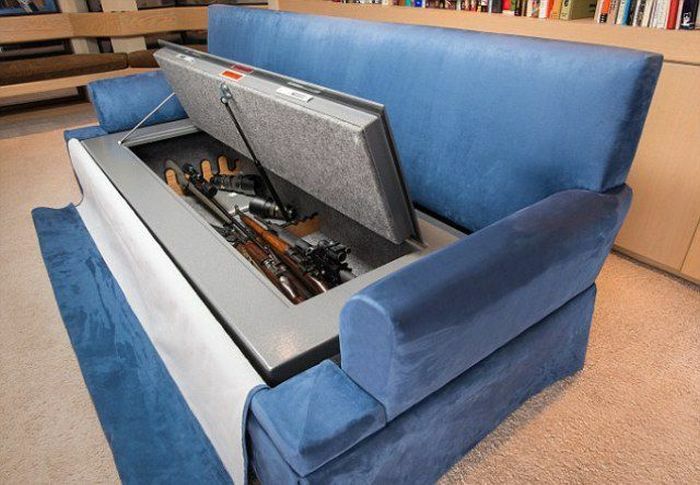 There is enough space for 30 rifles inside the couch. 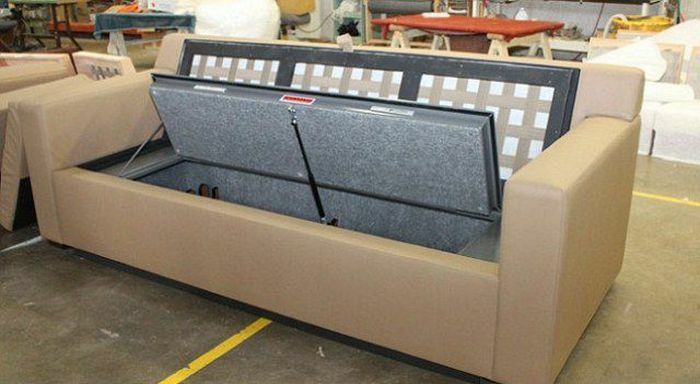 And it's the first ever bulletproof couch that can stop a .44 Magnum bullet. You can buy it for $6,700. Must be nice to live in a country where freedom rhymes with paranoia and insecurity. 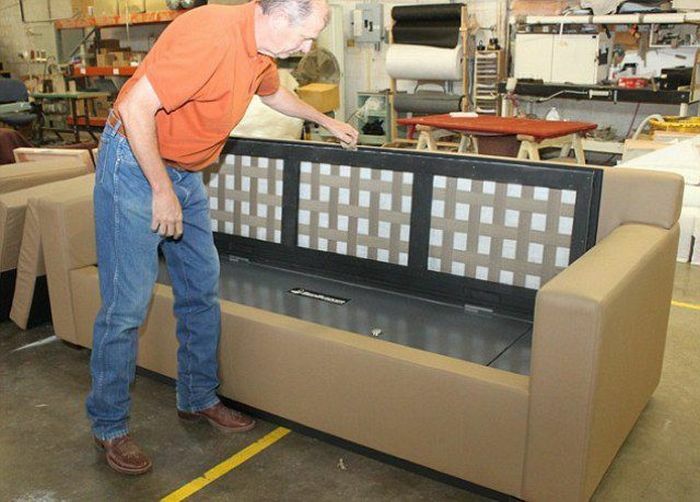 The purpose for such an item is negated by the time it takes to retrieve a firearm from it. One might be misunderstanding the purpose then. 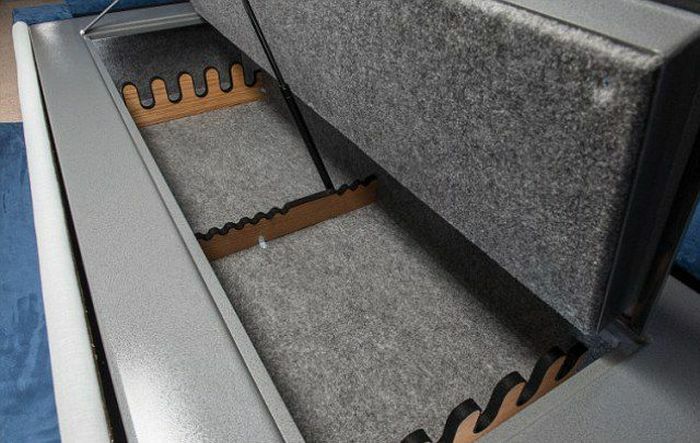 Its not for having weapons at the ready: its for having them stored discreetly and securely in a place that doesn't attract the attention of thieves. Not everybody wants to have the big brass fitted safe standing in the corner o ftheir den. Not everybody has a den, or extra space. But everybody who owns firearms needs a secure place to store them. That's not paranoia, its just common sense. What's hilarious to me is that all these folks laughing at the 'paranoid gun nut Americans' almost certainly live in countries whose governments are less than 100 years old (and in the case of some, whose governments topple about every 30-50 years). And dont make me start on all the shootings........ You obviously never looked at the 'real-world'. 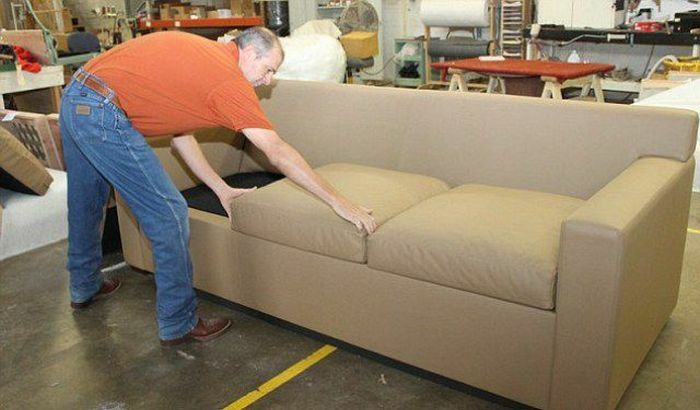 "And it's the first ever bulletproof couch that can stop a .44 Magnum bullet." "Must be nice to live in a country where freedom rhymes with paranoia and insecurity." At least we know what rhymes are. Those three words don't sound alike at all! Um, most countries in Europe have very strict gun control laws, and yet are all considerably older than the USA. Guess that blows your theory out the water.